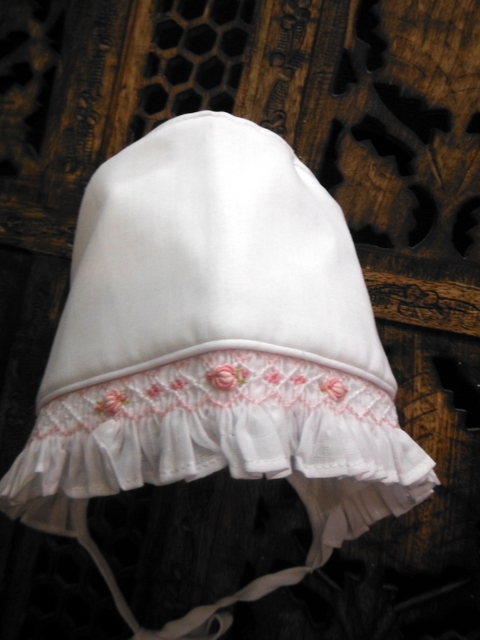 Precious White Pink Bishop baby dress includes the matching smocked bonnet. 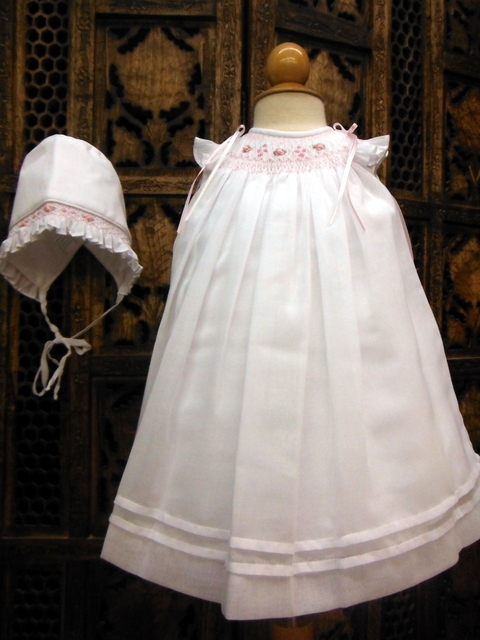 Will’beth style 16306 available in sizes 3-6-9, 12-18-24 months. 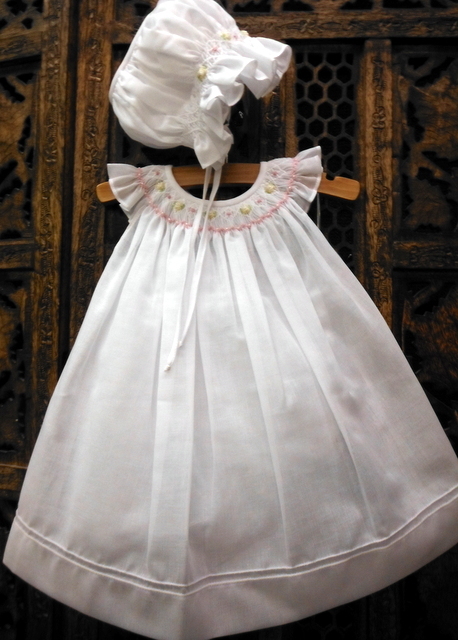 Makes a perfect after christening dress and for any special occasion! 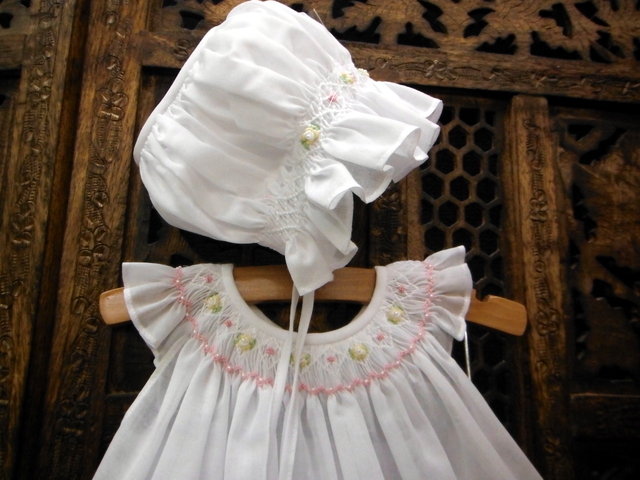 Will’beth creating special memories since 1973! How May I Help You? Let me count the ways!! *A little something unexpected can really turn around a day. When someone that we do not know personally does a selfless act of kindness that can make us feel uplifting! *Not an ordinary “Thank you”, when it is shown rather than said, makes a world of a difference! 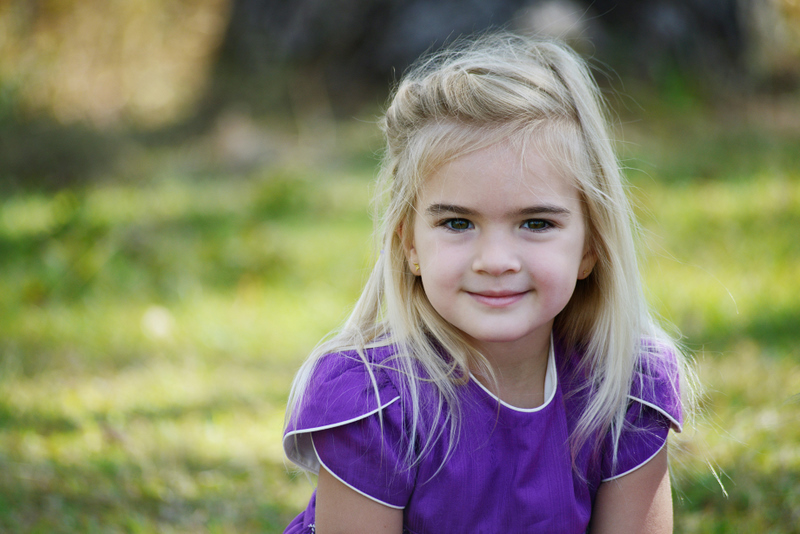 *We are hearing more about “A Little Something” someone did that made a difference in a person’s life. The soldier’s wife who someone left a note with money in gratitude for serving the country, the person at the grocery who paid for a gallon of milk of someone behind them. Some thing so unexpected can turn a not so good day in a great one! Here at Will’beth we strive to make a difference with all our customers, we offer assistance in closing a sale, picture image access for our products and we are here to listen. Let us know the ways we can help you! 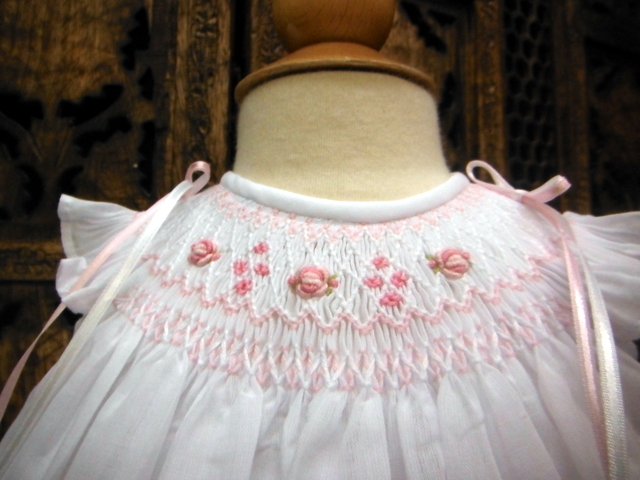 Beautiful pink, princess cut smocked dresses by Will’beth. Perfect for sister portraits. Available for special delivery before Easter at selected Will’beth Retailers.